Let's just get right down to business and talk about that fabulous backdrop, shall we? Would you believe it's made out of tissue paper?!! She fringe-cut it, then taped it in small sections directly to the wall. The gold balloons from Northstar balloons were the perfect finishing touch. So incredible! The table was full of pretty details that would make anyone sitting there feel lucky! 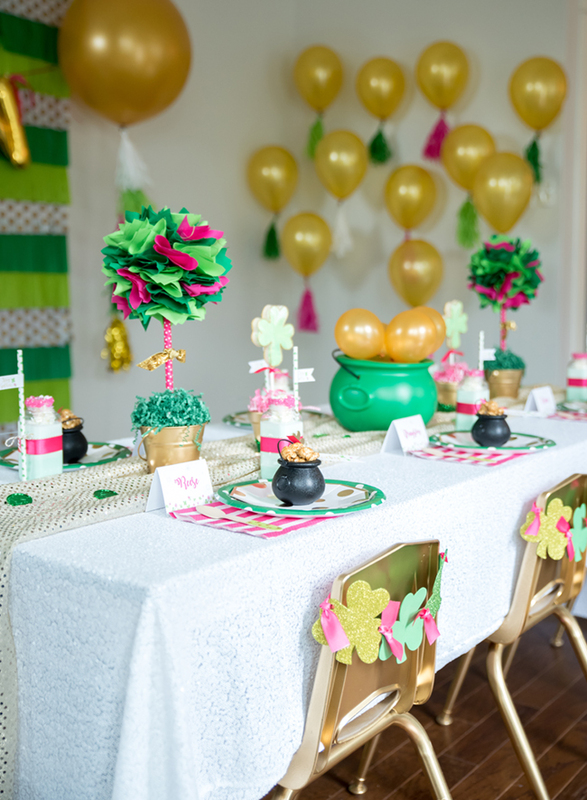 A balloon "pot of gold" and beautiful fabric "trees," created by Sweet Georgia Sweet, served as the centerpieces and wowed the little lassies. Layered plates in a mix of patterns and colors added some visual interest, and cute little pots 'o gold popcorn adorned each setting. The cute "Lucky" favor tags can be found in the shop here. In true Annaliese style, each chair was decorated with a festive shamrock bunting. 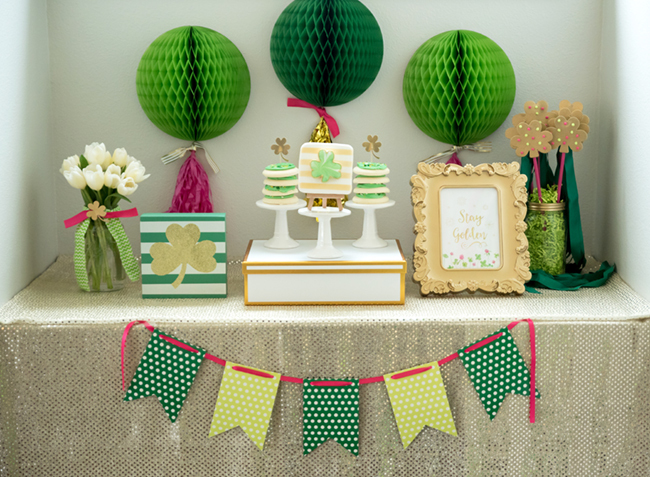 Green tissue paper balls with festive tassels, a sweet little paper bunting, a gorgeous cookie display by Say Anything Bakery, and a "Stay Golden" art print that I designed (available here), rounded out the party decor. 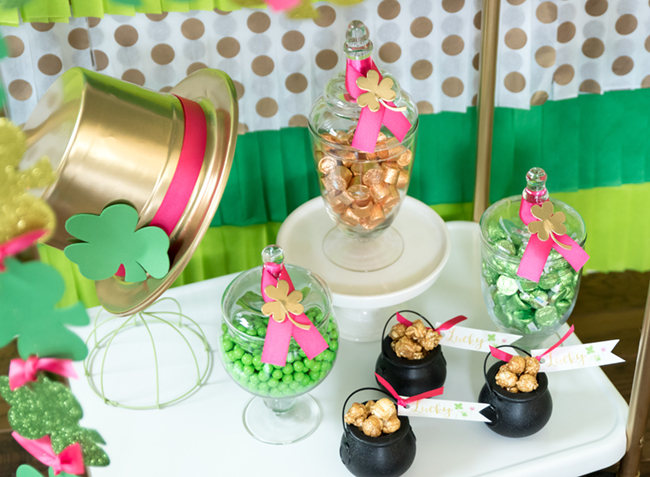 A refurbished vintage bar cart sweetly displayed all of the treats for this "Stay Golden" St. Patrick's Day Party. Cupcakes with marbled bark, shimmering “Pots ‘o Gold” caramel popcorn, and stunning double-sided cookies by Say Anything Bakery were available for the lassies to munch on. Mint milkshakes served in jazzed up milk bottles helped wash down the tasty treats. 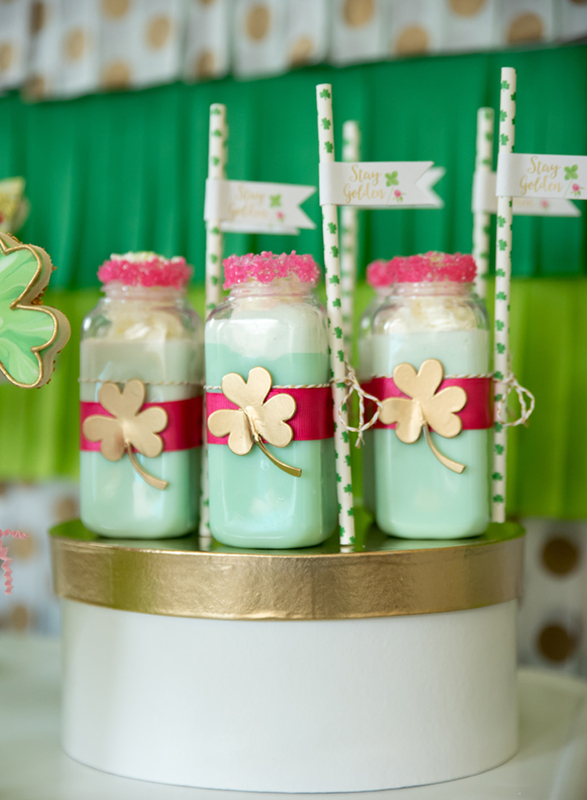 Shamrock straws with our fun "Stay Golden" Straw Flags looked adorable with the shakes. 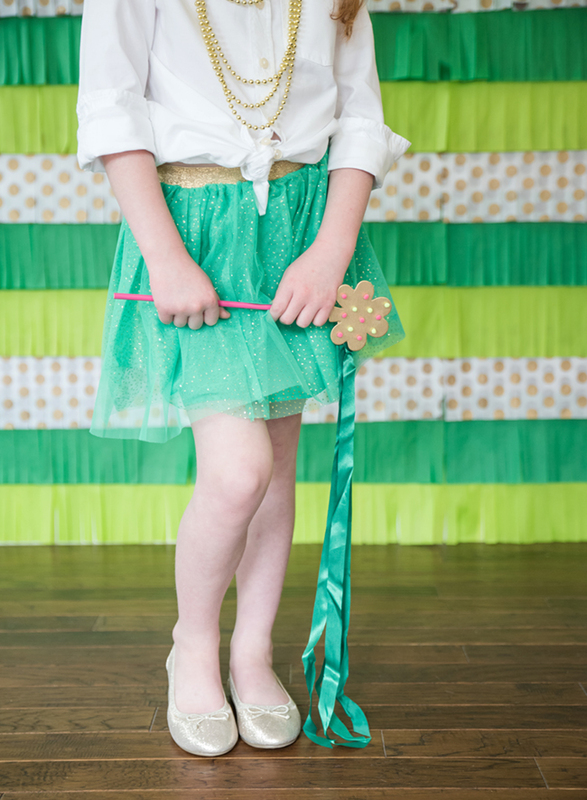 These DIY Shamrock wands were a fun activities for the kiddos to make, and they each got to take one home. So fun! Thanks to Annaliese for letting me play along on this Shamrock Celebration! 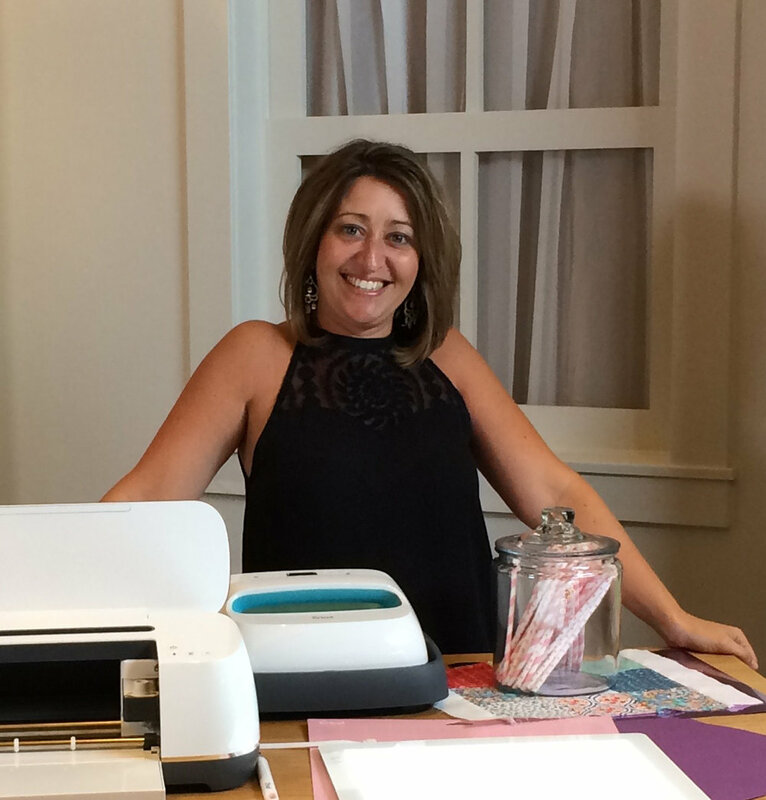 If you're not already following Made of Sugar and Spice on social media, you'll want to! Find links to all of her social media pages on the Made of Sugar and Spice website.